How can outdoor opportunities be improved in northwest Fort Collins? Residents created a vision in 2016/2017 to connect youth and families to the outdoors through places, career pathways, and programs. Did you know that young people spend an average of four to seven minutes a day outside in unstructured play? That is half the time their parents spent outside. Research shows outdoor time is good for kids physically, socially, emotionally, and cognitively. Plus, if kids don't experience nature, it won't be valued. Issues like time, transportation, money, access, and lack of interest and understanding keep kids from getting outside and developing a lifelong passion for the great outdoors. Inspiring a deep connection to nature is the goal of this project because it is vital for the wellbeing of our community, our wildlife, and the Colorado way of life. This video is an inspiring 4 min. summary! 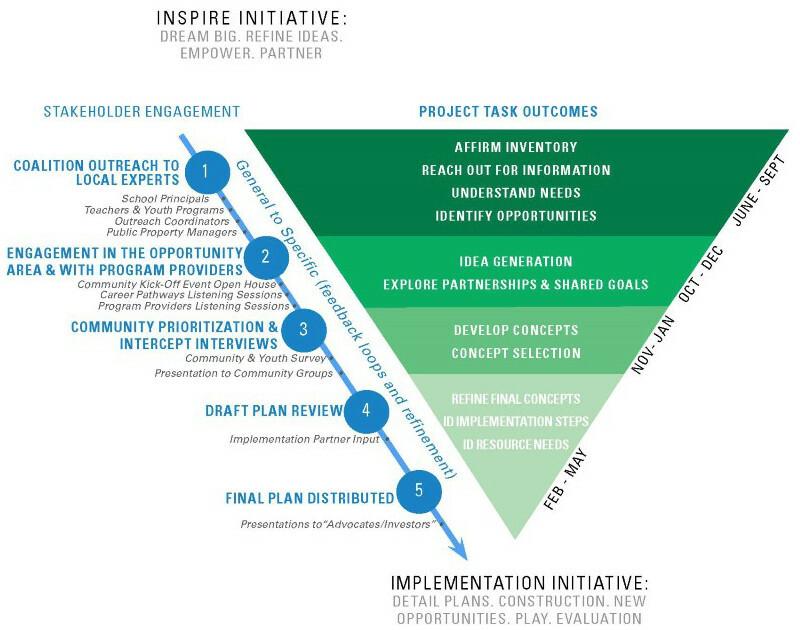 The Project Outdoors planning process has been completed, and the implementation grant application was not funded by Great Outdoors Colorado. Read the planning report here. Partners and the City of Fort Collins are implementing as much of the vision as possible within current limited capacity. Places- Three trail connections were proposed: one from Irish Elementary to the Boys & Girls Club through "Puente Verde" including signalized crossings on Vine and Taft Hill Road. Secondly a multi-modal path connecting Grenada Heights neighborhood to Lincoln Middle School on the north side of Vine Drive. Thirdly, a trail connection between Lincoln Middle School and the Poudre Trail. Places- Two new Kitchen Community Learning Gardens were proposed at Lincoln Middle School and Poudre High School. The Learning Garden at Irish Elementary (construction planned for fall 2017) was included as match. 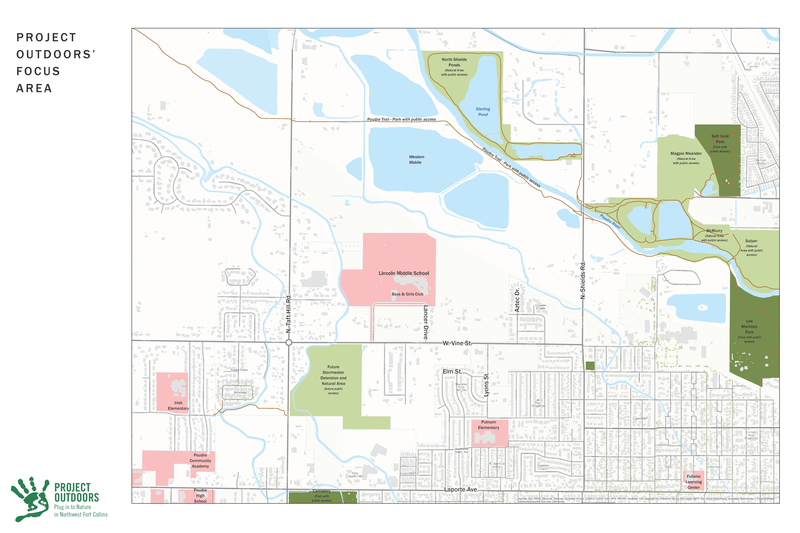 Places- A new "naturescape" (part park, part natural area, part Nature in the City project) was proposed for the site adjacent to the Lincoln Middle School to Poudre Trail connection. Conceptual features included a bike skills area with a viewing/shade structure, and bike fix-it stand, an outdoor classroom, soft surface trails, a lookout tower, an entrance gate, environmental art, and a nature play area. Programs- A comprehensive sequence of outdoor and environmental education programming, beginning in early childhood through grade 12 was proposed for in-school, after-school, and during the summer. Two new positions would coordinate the programs, one focused on in-school, one focused on a new outdoor club at the Boys & Girls Club. Also included was a gear library and teacher training. Teacher training 2018 will be implemented thanks to funding from a New Belgium Brewery Environmental Education grant. Career Pathways- The vision was that in elementary school, young people would have the opportunity to build awareness of natural resource career options, then in middle and high school they would explore different pathways through visits to natural resources agencies, service projects, job shadowing, a career fair, and paid internships. During the summer youth would have had the opportunity to participate in outdoor adventure programs. The goal of Project Outdoors was to understand the specific barriers youth and families experience to connecting to the outdoors, identify strategies to address the disconnect, and empower youth and the community to be part of a collective to solve it. The planning process is complete and an Implementation Grant application has been submitted to make the vision come to life. 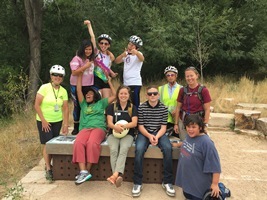 Project Outdoors was led by a Youth Advisory Council of Boys & Girls Club members and a coalition of agency partners including Larimer County Department of Natural Resources, City of Fort Collins, Larimer County Boys & Girls Club, Colorado State University, and Poudre School District. Project Outdoors built off the 2012 Plug in to Nature project that identified County-wide outdoor needs and opportunities. Hearing the voice of youth was critical to the success of Project Outdoors. A Youth Advisory Council of outstanding middle-school students from the Boys & Girls Club, high school students from nearby schools, and a CSU student searched out innovative ways to connect their peers to nature. Even though the planning process is complete, Boys & Girls Club members continue to meet monthly and participate in field trips to learn about outdoor opportunities. The Youth Council played a key role in community engagement and project development.